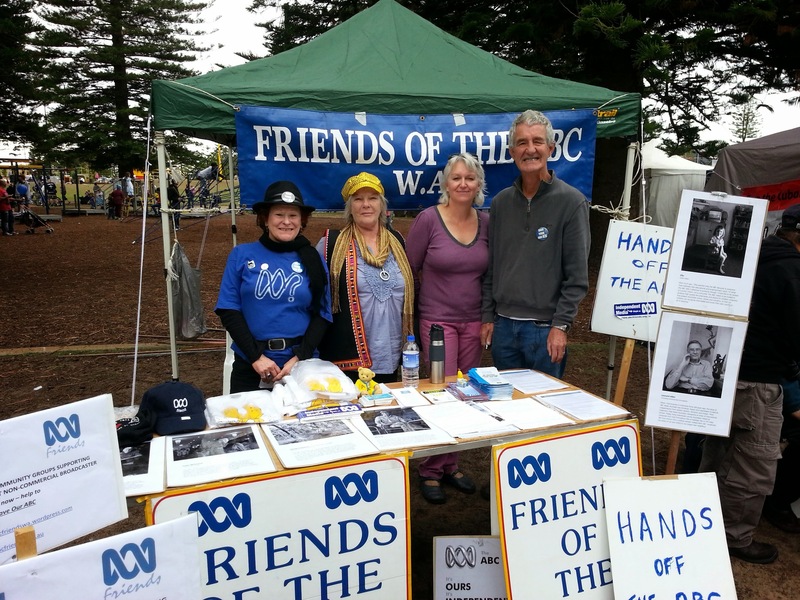 Friends of the ABC WA held a stall at the May Day Festival on Fremantle Esplanade yesterday, 4th. May. This year’s well organised event was well-attended. Friends also took part in the March holding banners “Hands off Our ABC’ etc. Friends had a more prominent stall than last year with lots of passing traffic. 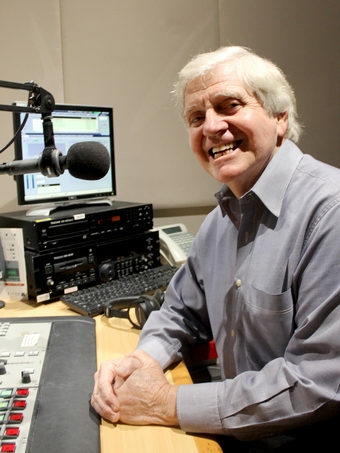 There was much interest in the ABC and concerns about what the Federal Government has in store for the national broadcaster in next week’s Federal Budget. We used up supplies of our WA Newsletter and most copies of the national newsletter (see ‘Newsletters’ tab above) and our Information brochure. We also handed out lots of ‘Independent Media – Simple as ABC’ bumper stickers, and lots of people took away our membership form. Thanks to our volunteers, L-R in the pic: Bobbie, Steve, Meg and Lindsay. Thanks also to Clim and Julia (not pictured). More thanks are due to Clim for the terrific banners which we will be able to use on other occasions.